Matterport Spaces are hosted in our Cloud, making it simple and convenient to collaborate on projects and share from anywhere. But we know the internet doesn’t always go where you go. That’s why we’ve developed 3D Showcase for iOS, an iPad and iPhone app which lets you browse your complete library of Matterport Spaces, as well as a public library of demo Spaces, and download them locally to your iPad and iPhone for easy browsing and exploring, whenever you present Matterport. Download it today for free from the iTunes Store. 3D Showcase for iOS is the best way to present Matterport Spaces in situations where you have slow or no internet connection. By downloading your Spaces locally beforehand, you can enter every presentation with confidence, knowing your Spaces will load quickly and that your audience will be wowed by the responsive, immersive experience of Matterport. 3D Showcase for iOS delivers the same immersive, easy-to-use experience that you’re used to in our web-based 3D Showcase, with the added convenience of internet-independent viewing. You’ll still be able to see Mattertag™ Posts, your Highlight Reel with Guided Tour, and any additional info about your Space in the About Panel. By pre-loading all panos, you ensure the highest resolution experience. Don’t fumble for guest Wifi or suffer through snail-speed connections at conventions that cause your Spaces to stutter or load in a lower resolution. 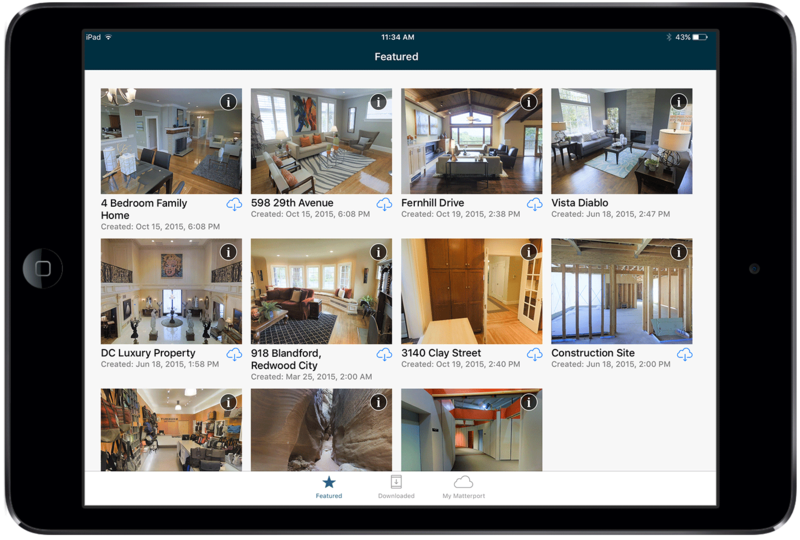 With 3D Showcase for iOS, you ensure that every presentation you give with Matterport is crisp, high-res, and lightning-fast. Don’t miss a single ‘WOW’ moment. 3D Showcase for iOS lets you easily search and sort your models, both locally and in the Cloud, for quickly finding exactly what you want to show, when you need it. Sort Spaces alphabetically, or by the date they were created or downloaded, so the Spaces you need are at your fingertips. 3D Showcase for iOS is a powerful tool for leveraging Matterport content in any industry where connectivity is an issue. Construction managers can use it to quickly pull up Spaces for reference while on-site with no WiFi. Commercial brokers can show remote properties with ease so stakeholders can quickly compare the site they’re in to the one they saw days before. Anyone who brings Matterport to trade shows will benefit from slick, streamlined presentations without relying on spotty convention center WiFi. 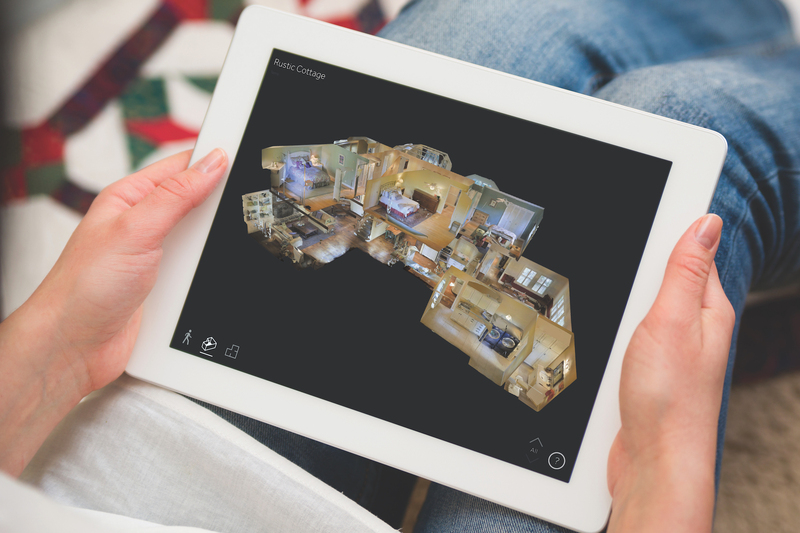 No matter your use for Matterport, 3D Showcase for iOS takes your Spaces farther. Download 3D Showcase for iOS today from the iTunes store, for free! Find your way around the app and start leveraging it in your presentations with our User Guide and support site.